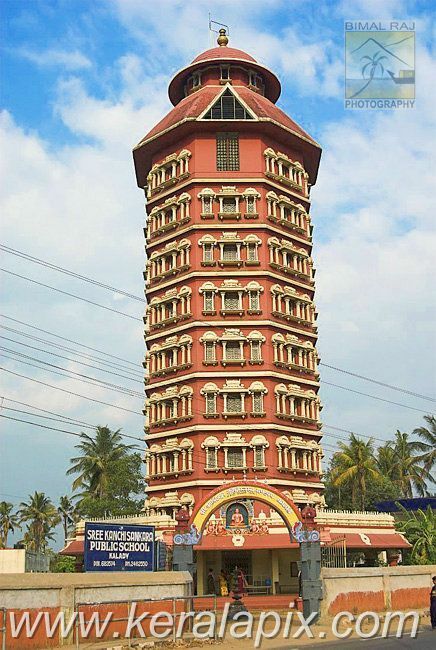 Sree Sankara Memorial Tower, Kaladi, Ernakulam district, is a tall eight-story memorial built by Kanchi Kamakoti Mutt. 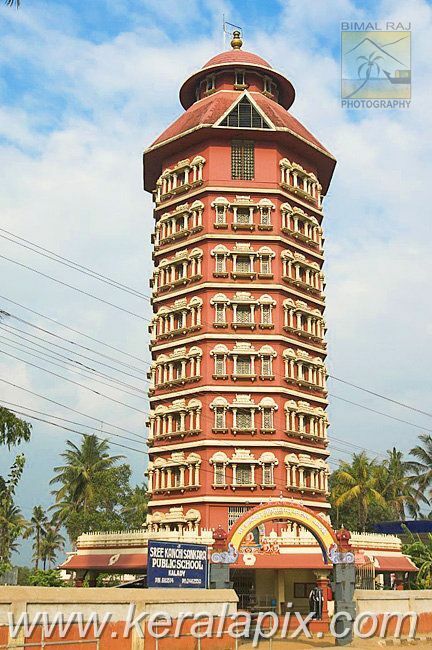 The entrance to the memorial, guarded by two elephant statues, leads to the Paduka Mandapam with two silver knobs representing the 'padukas,' or wooden sandals of the Teacher. The walls of the memorial feature framed relief paintings narrating the story of Adi Sankaracharya. 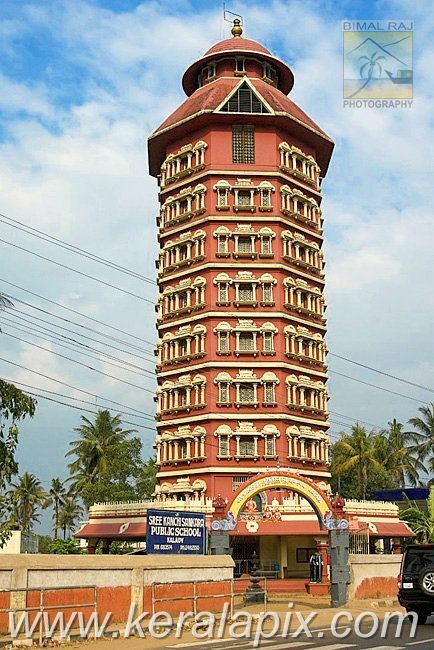 Several large statues of Ganapati, Adi Sankara, and others are also housed in this memorial. 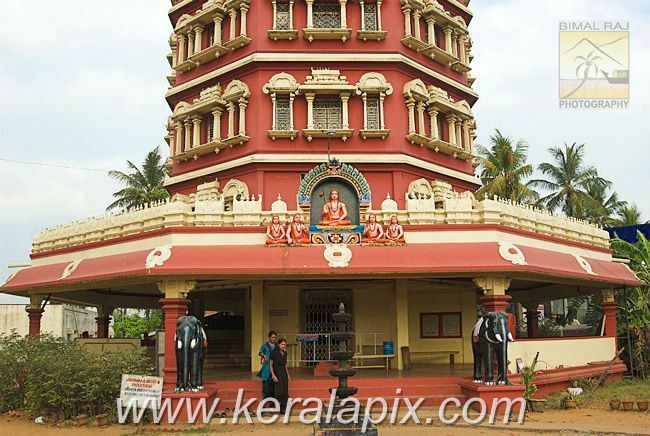 Adi Sankara's shrines in Kalady are open to all pilgrims irrespective of religion and caste. 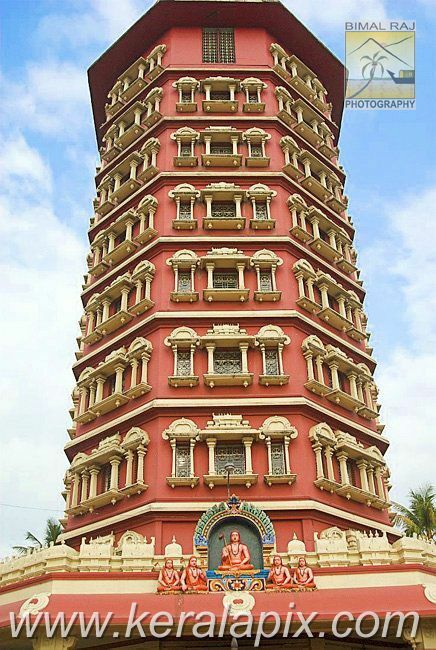 Visitors can review the life of Sankara Acharya as they climb to the top. 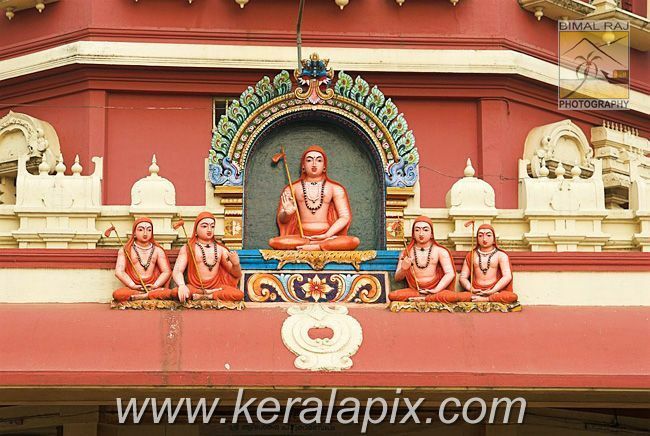 Sankaracharya was the greatest reformer of the Hindu Renaissance that took place in Kerala in 8 c. AD. He taught Advaita Vedanta that postulates the indivisibility of the individual soul and the Brahma or the Cosmic Soul. 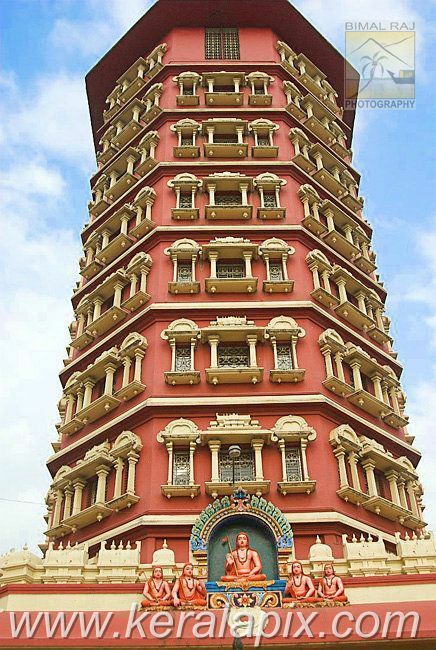 Adi Shankara was the founder of the Dashanami monastic order and the Shanmata tradition of worship. Adi Shankara quotes extensively from the Upanishads and other Hindu scriptures in forming his teachings.